Thanks to a study commissioned by Staffordshire County Council and the Caldon and Uttoxeter Canals Trust. The Study looked into the challenges involved into restoring the Caldon Canal from Froghall Basin to the Uttoxeter Gravel Pits. The Consulting Engineers Halcrow Group Ltd concluded that the restoration project was viable from an engineering viewpoint. Cost estimates for the restoration are in the region of £90 million but they do state that the work could be undertaken by volunteers. 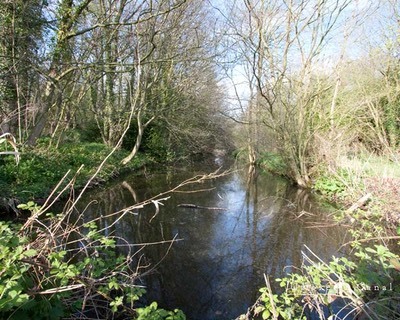 Plans are being drawn up for restoration by volunteers to conserve existing canal features also to explore how inaccessible parts of the canal can be opened up. How Will This Affect Rocester? The proposed routes through the village are shown Here . They show three routes through the village. The full report can be read on the Caldon & Uttoxeter Canals Trust Website. The Uttoxeter Canal was promoted by the Trent and Mersey Canal Company and was therefore another branch of that canal, plans proposed in 1796 with a survey drawn up by Thomas Yates and William Cross the then stated plan for the Froghall to Uttoxeter canal was for the transportation of coal for the Cheadle and Kingsley Moor collieries, brass and copper for the Alton and Oakamoor Works also lime for agriculture and building work. with a toll set at 1 1/2d. per ton per mile. The following year it was authorised by a separate Act of Parliament passed on June 6th 1797. The Uttoxeter canal seems to have been an ill fated project from the start as in 1795 there was a proposal for "The Commercial canal", this wide (double width locks) canal's proposed route was to link Ashby-de-la-Zouch in Leicestershire with the River Trent and canals in Cheshire and Newcastle-under-Lyme. It was stated that this canal promises to transform the transport of goods between London, the Potteries and the sea ports of North-West England. This canals proposed route through Staffordshire was to have taken in Burton on Trent, Tutbury, Marchington, Uttoxeter, Tean, Draycott, Hanley, Sheldon, Cobridge, Burslem, Tunstall, and Newcastle-under-Lyme and to have several branch canals along it's length, one at Uttoxeter to Ellastone Lime works and on to Norbury, another from the River Trent at Burton to extend the present navigation to join the Coventry canal at Fradley, and others in the potteries. This Canals proposal would have been a very severe competitor to the Trent and Mersey Canal, and there followed a period of conflict with both company's, but with the Trent and Mersey's powerful connections and a promise to widen their canal they won the battle, with a victory for the Froghall to Uttoxeter canal scheme the act was passed on 6th June 1797 but it would be another fourteen years before the canals completion in 1811. 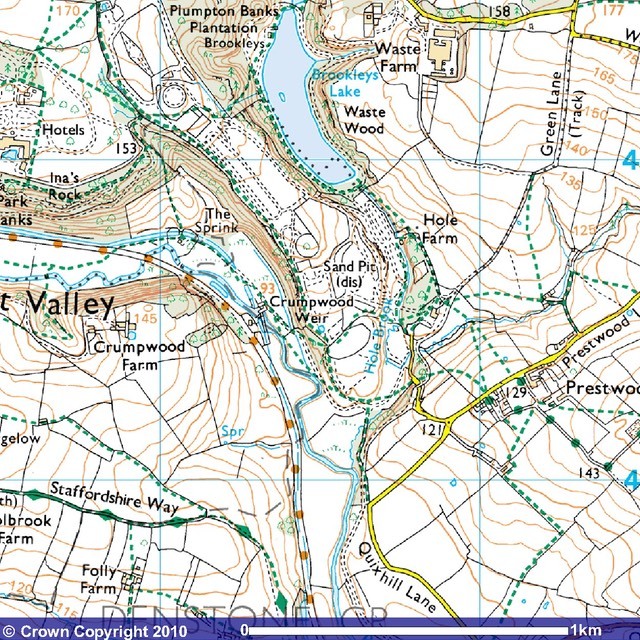 The route chosen for the Froghall to Uttoxeter canal through the churnet valley had a fall of about 133ft it passed through Froghall, Oakamoor, Alton, Denstone, Rocester, Combridge, before reaching its terminus at Uttoxeter. 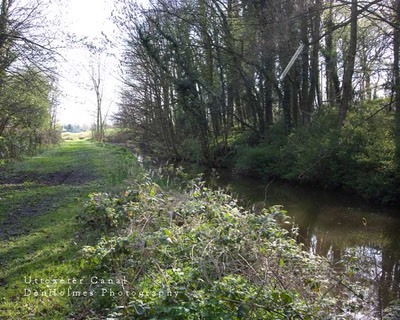 The canal caused some controversy over the chosen route through Alton, the Earl of Shrewsbury whose summer residence Alton Abbey, owned the Alton wire mill leased by Patten and Co of Cheadle, The Earl complained that the canal would take water from his mill. 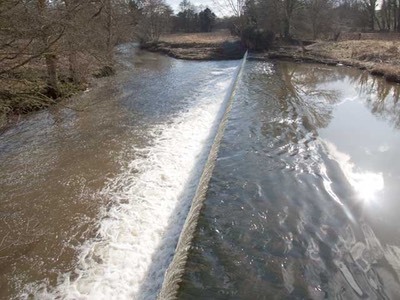 This argument seems to have taken a considerable time to sort out, for it was not until March 1809 that the Earl agreed to let the canal run alongside his weir so long as the canal Company raised the weir level by a further 18 inches to protect his mill leat and pool. 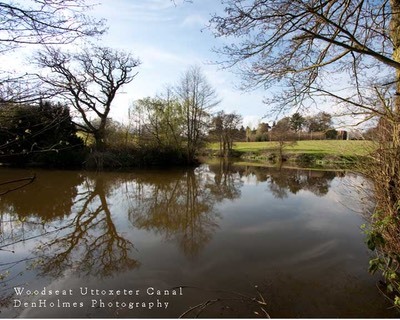 The route of the canal in Rocester passed through the grounds of Woodseat the home of Thomas Bainbridge High Sheriff of Staffordshire 1801-1802 at this point the canal widened out more resembling a small lake to enhance the estate. A report dated September 1809 stated that by August 1808 the canal and 9 of the locks which was to connect Uttoxeter to the Caldon branch of the Grand Trunk, or Trent and Mersey canal was completed forming a link from Froghall wharf, in Kingsley parish (the junction of the Caldon canal and Caldon railway) to Oakamoor bridge and by May 1909 as far as Alveton or as we now call it Alton. With the rest of the Canal to Uttoxeter said to be in hand with the building of locks, bridges, and the cutting of the canal bed. It was reported that the neighbourhood may soon expect the advantage of water conveyance for lime from Froghall Wharf and coals from the neighbourhood of Kingsley, where they abound; but to the south-eastward of which, none have been discovered. The branch canal opened to Uttoxeter on September 3rd 1811 it ran 13.25 miles from Froghall to Uttoxeter and had 17 locks along it's length. The event was proclaimed in the Staffordshire Advertiser of 14 September 1811,"On Tuesday the 3 September the Uttoxeter Canal was opened with every demonstration of joy which the inhabitants of the town and neighbourhood could devise". Early in the morning the bells rang out, and continued throughout the day. Soon after breakfast people gathered from the neighbouring villages, and began to assemble in the Market Place, where they were joined by the principal inhabitants, they then marched off to the Canal Basin. Soon after 11 am they set out from the wharf along with several other boats one containing the band. 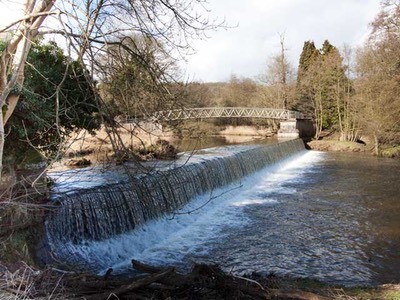 The Prince Regent boat took the lead and proceeded to the beautiful cast iron Aqueduct over the river Tean, where the company disembarked for a short time. In Rocester persons belonging to Mr. Briddon's cotton works attended in holiday costume. The boats arrived at 2 o'clock at the Weir across the river Churnet at Crumpwood, to the site of immense crowds of spectators who occupied every bridge and lined the sides of the Canal. About 150 persons were given a formal picnic followed by speeches and toasts by the Chairman, H. Webb Esq. At about 5 o'clock the company set off on their return to Uttoxeter, attended by the band and spectators. The sunny Autumn day finished with bonfires made in the market place, two sheep were roasted and distributed to the poor, with a suitable quantity of bread and ale. In this period of Rocester's history we can see that the village was flourishing, with the cotton mill lately purchased (and now employed in doubling lace-thread) by Thomas Holdsworth, Esq. of Manchester the mill was previously occupied by Messrs. Briddon and formerly by Mr Arkwright. The canal has a wharf and warehouse at Rocester-Green, the Gazetteer lists Hordern Jph. as wharfinger and clerk to the canal Co, along with The Ford Green Coal Company, John Boulton, agent. Gerrard Thomas, Corn Miller. also The Woodhead Coal Co.
Other notable members of the parish were the Rev. 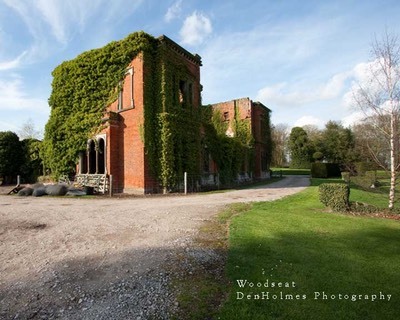 George Hake (St Michael's Church) Woodseat is the residence of the Lord of the Manor, George Alsop Bainbrigge Esq. Doveleys the seat of B. Heywood, Esq, with Barrow Hill the mansion and estate in the hands of M. A. Whyte, Esq. By 1851 again taken from the Directory of Staffordshire, the period after the closure of the canal and with the coming of the Railway, Rocester's parish now contains 106 more inhabitants a total of 1146 and 2600 acres of enclosed land, quite an increase in a 17 year period. When the canal first arrived in Uttoxeter it was very much on the edge of the town, the north end of the high street had very few buildings, at the side of the basin was the main warehouse (the now demolished corset factory.) The wharfinger's house (The Limes Public House also demolished,) also close by were 4 lime kilns and an acid factory, a quarter of a mile further up from the wharf before the Dockyard 2 more lime kilns were sited. The Dockyard was a long and narrow basin wide enough to take two or three boats side by side. It joined the canal by a narrow channel. 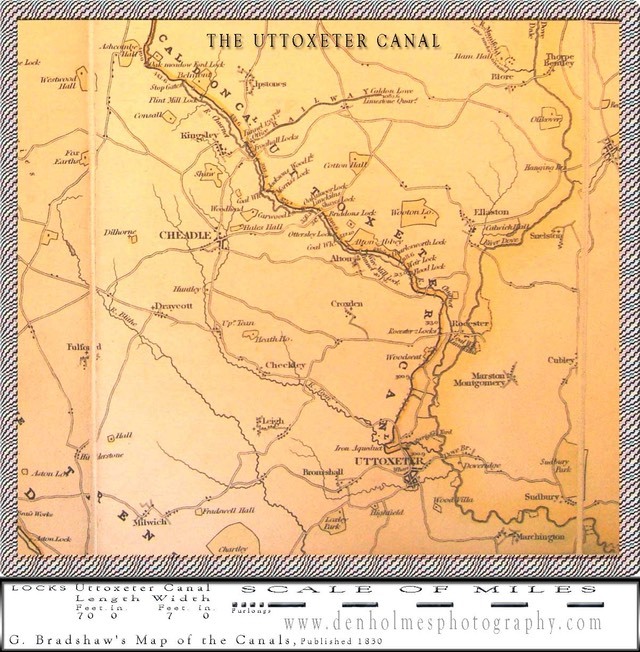 Image below produced from an Extract from Richard Dean's Historical Map of the Canals of North Staffordshire.Get-a-map service. Image reproduced with kind permission of Cartographics and Canalmaps Archive website. The canal was not a financial success, despite making a reduction in the tolls it was losing the company nearly £1000 a year, The Trent and Mersey Company made plans to close it. The canal Company valued at £1,170,000 passed to the railway now calling itself The North Staffordshire Railway and Canal Carrying Company, except for the first lock and basin at Froghall, which still remained in use until about 1930, the canal was closed by the railway company on 15 January 1849. When the Uttoxeter canal was abandoned, most parts of the canal were infilled and used as the route of the Churnet Valley Railway. However a few remaining stretches still exist to the present day, along with the occasional milepost and even the odd bridge. Uttoxeter still has an area called "The Wharf"
In 1851 with the canal now firmly abandoned the branch Railway was extended to Ashbourne. 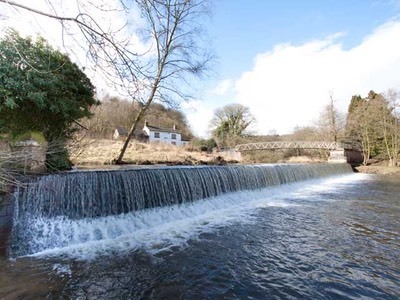 Crumpwood Weir was built in the early 1800's to take the Uttoxeter Canal across the River Churnet. Boats dropped through Carrington's lock to join the river before being pulled across the top of the weir and back into the canal via a flood lock on the other side. The Uttoxeter Canal opened in 1811 but was never profitable. It was closed in 1849, when much of its route was filled in to accommodate North Staffordshire Railway. Image above produced from the Ordnance Survey Get-a-map service. Image reproduced with kind permission of Ordnance Survey and Ordnance Survey of Northern Ireland. 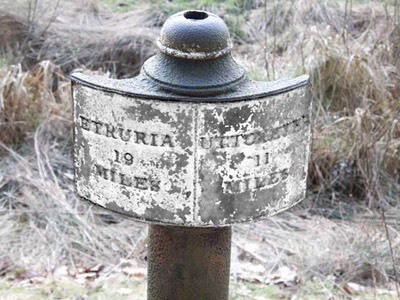 Near to Morris's Bridge on the Uttoxeter Canal, this mile post shows 11 miles to Uttoxeter.